On the occasion of his 51st birthday on Sunday, September 9, actor Akshay Kumar treated his fans with a fresh poster of his character from the upcoming sci-fi thriller, 2. 0. Revealing some details about his character in the film, Akshay said he is portraying a dark superhero. “Here’s a special birthday treat for all my fans. Sharing with you my most powerful character and one which has probably stayed with me for the longest time. I am the dark superhero for those who don’t have a voice! Humans beware,” he wrote on Instagram. Along with the post, he uploaded the poster showcasing his 2.0 avatar. Akshay looks almost unrecognisable as the antagonist with prosthetics. 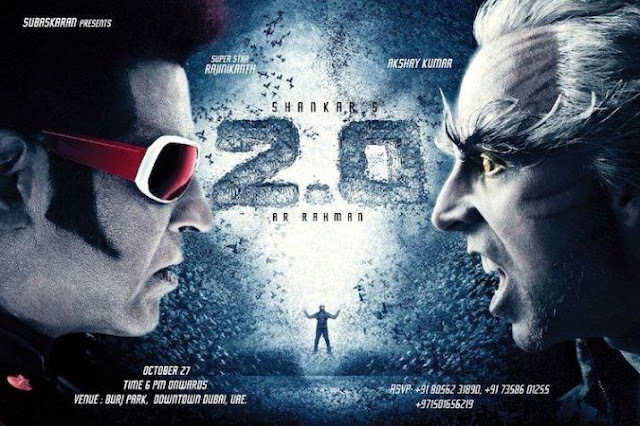 Directed by S. Shankar, 2.0, which stars Rajinikanth, is a sequel of 2010 film Enthiran — released in Hindi as Robot. The film is slated to release on November 29. The film’s teaser will be out on September 13 on the occasion of Ganesh Chaturthi.